A new Quidsi store in the works? 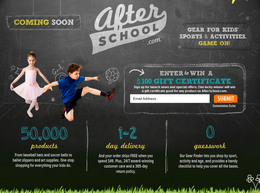 Amazon.com’s Quidsi, the company behind stores with great domains such as Diapers.com, Soap.com (cleaning and personal care), YoYo.com (toy), and Wag.com (pet stuff), has purchased the domain name Afterschool.com. The domain name was acquired from WebQuest Inc. with the help of brand protection company Mark Monitor. The domain transferred to Mark Monitor on June 10, and the whois was updated to show Quidsi yesterday. Quidsi’s domain purchases have previously tipped me off to new store openings. In January I scooped that the company was working on a home decor site called Casa.com. What would Afterschool.com be used for? Good question. Maybe an educational site?